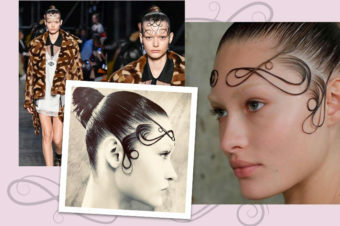 It started with Kim Kardashian, as so many of today’s trends do. 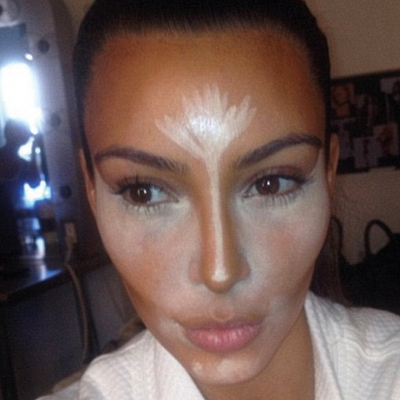 A snap of her face sporting unblended contouring shared on social media sent Twitter, Instagram et al into meltdown. It suddenly brought a make-up artist’s secret – tailoring a variety of shades to help, for example, slim a nose or accentuate cheekbones – to our attention. And we couldn’t get enough! The ‘make-up for hair’ trend has been fuelled by social media influencers showcasing not just amazing shades, but techniques, from contouring and glazing to strobing and frosting. 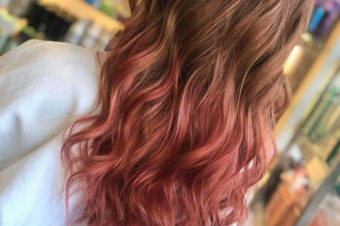 Of course, hair colourists are already creating bespoke shades for us clients in the salon, but this trend gives them a chance to talk to us in a way that will help us mere mortals better understand what overall effect a certain hair colour technique or placement can have. Genius! Oh man, we’re loving this! 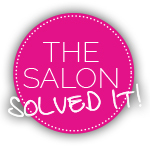 So what are salons offering that we can go and try? We know, we know: gloss + hair normally = a sticky mess, but hear us out. Just as the resurgence in lip gloss popularity is down for its magical ability to make your pout look fuller and juicier, hair gloss is designed to make your locks appear shinier and healthier… without any gloopy texture. 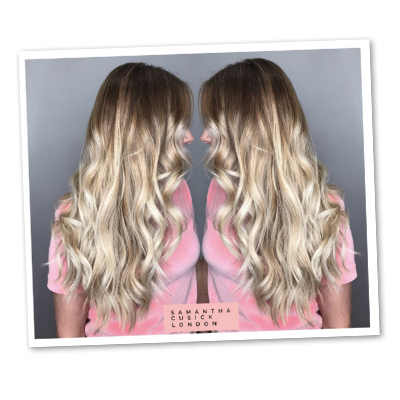 It’s actually a treatment carried out at the backwash – a sort of semi-permanent, transparent shine service – that adds a microscopic protective layer over each strand, without weighing the hair down. It helps fill in any raggedy areas on the surface of the hair cuticles, creating a super-smooth surface that light bounces off like a mirror, and the effect lasts about four weeks. Oh, and it also helps to lock in any previously applied pigment, making it ideal for those looking to refresh their colour. 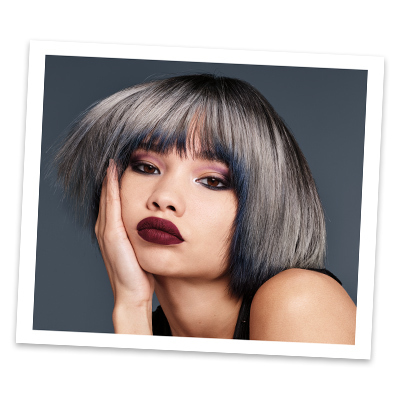 But it doesn’t have to be an ‘add-on’ service, Redken promotes its Shades EQ colour range as like the ‘lipgloss of hair colour’, with Shades EQ Cream giving hair a richer colour similar to a lipstick, enabling you to colour and gloss in one step. Go forth and SHINE! Similar to contouring, strobing highlights where the light would naturally hit the face. This means you can accentuate your best features and complement those we’re, um, well less keen on with contrasting colours, all with a shimmery, light-catching halo. Sounds divine! “Strobing works alongside contouring, we would mainly offer it for more of the natural look,” says Ashley Gamble, who has a salon in Shropshire. Most often in pink and peach, blush is used to create a radiant glow, while also amplifying your facial structure or even correcting your face shape. 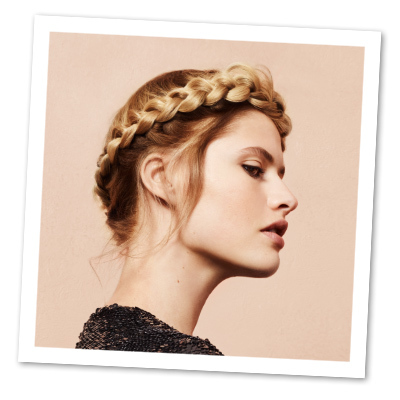 “Rose Blush, one of the looks we created on the Schwarzkopf Professional BlondMe shoot, uses exactly the terminology of make-up. You’ll see in your mind’s eye the sort of colour and it gives a sense of enhancing and subtlety,” says Tim Scott-Wright from The Hair Surgery in Stourbridge. 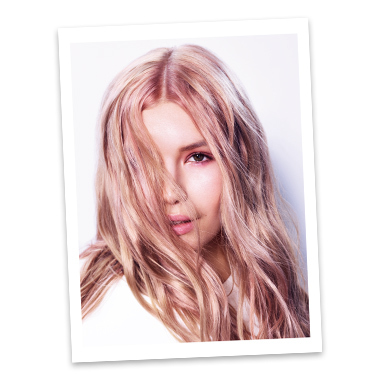 There are four Instant Blush Blonde Beautifiers in the BlondMe range (we’ve already given the Strawberry one a test drive), but what’s really exciting is that Schwarzkopf Professional has introduced a ‘blush and go’ shampoo – perfect for those who don’t want to fanny around with gloves and ruined towels. The BlondMe Blush Wash is sulphate free and gently cleanses and tones in one step, and you can take your pick from lilac, strawberry, apricot and silver. Like a blush powder, the Foilyage technique from L’Oréal Professionnel lights up the face and is inspired by make-up layering. It enhances shine without the need for any radical transformation. “With pinker tones becoming the new ‘neutrals’, no one is being stared at in the street for these looks anymore. What is ‘the norm’ has shifted,” admits the 2017 Most Wanted Colour Expert, Sophia Hilton, owner of Not Another Salon. 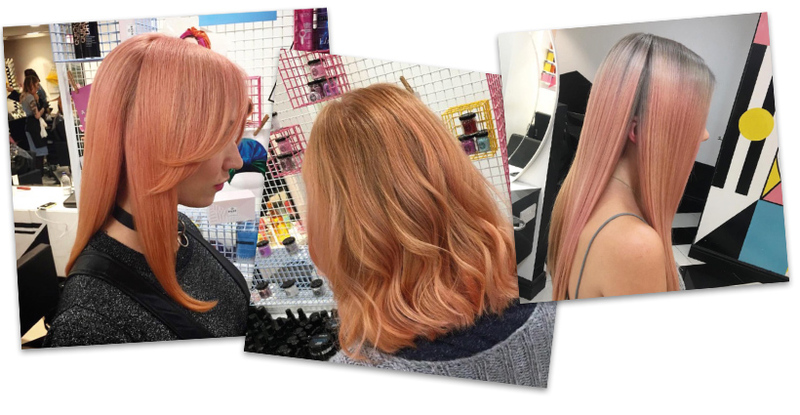 Warren Boodaghians, TIGI’s global technical director, agrees: “Pastels have become classic, no longer a micro-trend, but the concept of using the tones found in blushers is a fast-growing trend.” He points to the ongoing Insta trend of #Blorange. Headmasters launched a colour wash palette to cater for this blusher bounty – the Red Head Menu includes tones of Rose Gold, Burnt Coral and Dusky Fuchsia, which you can pick and choose from to finish off your already contoured and coloured hair. Sweet! 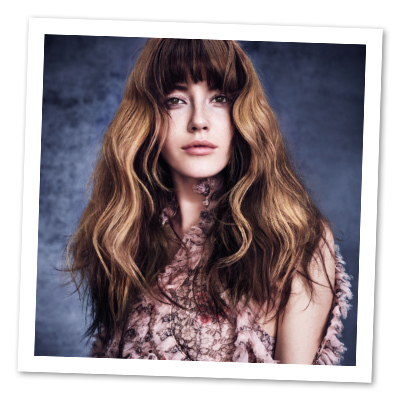 Take a look at colour menus in the savviest of salons and you’ll increasingly see the word ‘smudge’ in usage. It’s this idea of blending colours to avoid harsh lines (and root regrowth) that’s really catching on. “A smokey eye in our words would be a root smudge,” smiles Ashley Gamble. “It can be noticeable or very subtle. It can give you the rock chick look or you can use more natural colours to get a Jennifer Aniston look.” (See our Root Smudge test right here). Redken has introduced Smoky Ombre by Josh Wood, global color creative director for Redken. This combines two of the biggest beauty trends to have ever come our way: ombre and the smokey eye. “Smokey Ombre is a way to think about hair colour as make-up. It’s a way of adding light and shade to make any style look amazing,” explains Josh. To enhance eyes… opt for the darkest colour shades on the under layers of a fringe. This helps make the line look stronger just above the eyes, which in turn makes their colour pop more. To enhance cheekbones… ask your colourist to extend the colour with sectioning so the darker shades sit down near the top of the cheekbone. To bring wide eyes closer together… colour should be extended down the sides, so darker shades sit at eye level. 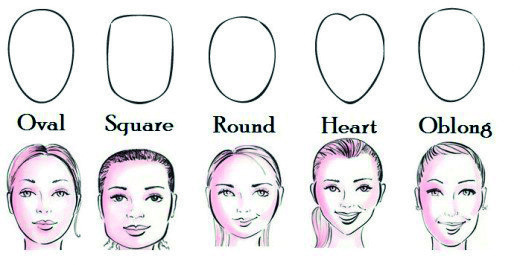 To elongate a round face… ask your hairdresser to lighten the top of your hair and the ends using a freehand technique. To shadow the sides of the face, they need to use a darker shade to add depth. To soften a triangular face… Go for a darker shades at the top of the head and crown areas then ask for lighter pieces through the mid-lengths and ends to lighten under your jawline. To widen facial features… keep your roots and the underneath of your hair dark to create shadow at the top of your head and around your jawline. Ask your colourist to apply a single highlight around your face to frame it and weave lighter pieces in front of your ears. Should I use... Salt spray?